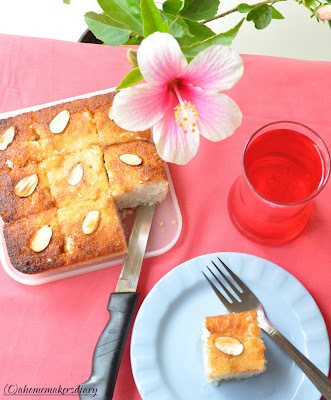 This Semolina based, curd soaked, coconut sprinkled, syrup drenched, rose flavoured dessert belongs to the land of saffron and mystery called Arabia. The best part of this cake is its light texture which when combined with the true Mediterranean flavour of rose syrup surely will transport to the era of Arabian Nights. 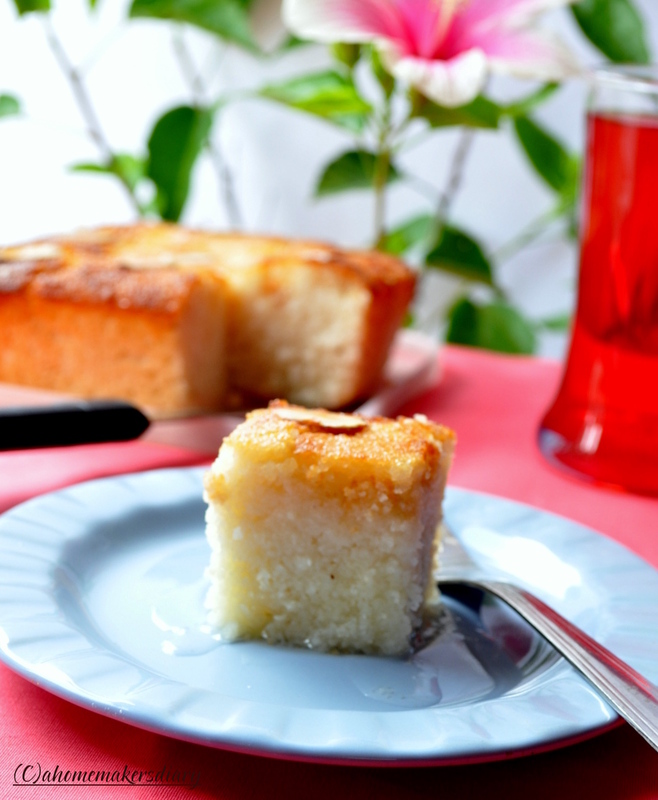 This baked semolina dessert is available throughout the Mediterranean countries in different names. In Greece they call it ‘Ravani’ where as in North it is known as ‘Revani’. In levantine Arabic countries this is also called as ‘Hareesa’. In Ezypt they call it Basbousa. I first tasted this dessert at the ‘Mezze’ counter in the Polynation food court. They serve some amazing Middle Eastern dishes and we love to eat at their place after our weekend veggie shopping. One such day after stuffing ourseleves with their amazing array of pita bread, Baba ganoush, kebbeh, falafel and tzatziki we still wanted some dessert. They had only two desserts at that time, Baklava and this Basboosa. Hubby is not very fond of Baklava so thought of giving it a try. The first spoonful was enough to make us crave some more and finally we ended up eating two plates of this divine dessert. Recently when we were again there we wanted to have this dessert but to our utter dismay it was so bad that after having a single bite we wanted to throw it to the bin. Though the other dishes are still very good but don’t know why the dessert became that bad. Now, the kind of food-o-holic I am, it meant I had to try it myself. Then on the day of ID when a childhood friend of mine planned to visit us for evening tea I knew the time had arrived. So, After some googling and youtube videos I finalized on this recipe from Yasmeen’s. She didn’t use any nuts in the batter but I wanted to recreate it exactly the way I loved it so decided to add some roasted almonds to it. The whole preparation, baking and soaking is as easy as 1-2-3 and finally when I served the first piece to Hubby he ate, smiled and patted my back. My friends and another collegue who visited us that day all loved it. And I love it so much that after that I again have baked it yesterday…as this beautifully aromatic dessert is something am going to make again and again. In a big bowl beat the yogurt till smooth. Add 1/3-cup water to it. In this add the semolina, coconut, sugar and ghee. If needed add more water. The batter would be very thick. Mix it properly and keep covered for 10 minutes. Then add the chopped almonds, baking powder and rose essence. Give it a good mix and pour in a greased baking dish. (I used a square bowl). Spread the thick batter evenly and then decorate with whole almonds. Bake for 30-45 minutes or until the top is golden brown. In the mean time make the syrup by mixing all ingredients in a bowl and boiling it for 4-5 minutes or till the syrup is little thick. When the Basboosa is done and still in the pan, cut the cake in squares. Pour the warm syrup on top and let it soak the flavored syrup at-least for an hour. Serve with tea, coffee or rose drink. I first made it with little coarse semolina then second time baked it with fine variety. We liked the first one more than the second. Though the original recipe does not call for soaking of the semolina but I did to make the grains a little soft. Also added the almonds just before baking to keep the crunch. You can substitute almond with any other nuts like cashews or pista. This heavenly dessert is off to AWED: Kingdom of Saudi Arabia. This month hosted at Kitchen Samraj. and also to Champa's Bake off event at Versatile Vegetarian Kitchen. to DMBLGIT this month hosted at Cafe Lynnulu. semolina, suji, rawa, cream of wheat, rawa dessert, baked rawa, baked cream of wheat. syrup soaked dessert, Mediterranean dessert. Arabian delicacy, Middle Eastern sweets, Middle eastern dessert, turkish dessert, sujir mishti, halwa, nut and coconut in baked sweet, coconut sweet, coconut dessert, almond in dessert, suji and almond, baked syrup soaked sweet, Egyptian sweet, exotic dessert, rose flavour, coconut, almonds, roasted nuts in dessert, special day dessert, how to make revani. how to make basbousa, curd in sweets, yogurt based dessert. wow! Sayantani the cake looks so spongy and marvellous and tempting and mouth watering. Hey Sayantani ! This is a complex version on my Mom's shravani cake!! It's so surprising to find similar food across the globe. Will try this one sometime. 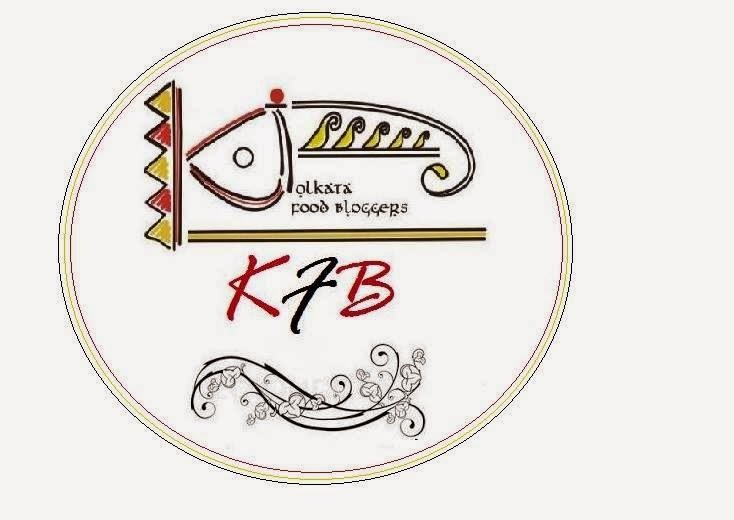 Woww thats a beautiful basboosa...looks awesome..
Darun recipe....dekhe besh tempting lagchhe...chhobi gulo khub bhalo hoechhe...egulo ki notun camera te tulechhish? ?/ki camera kinechhish?? 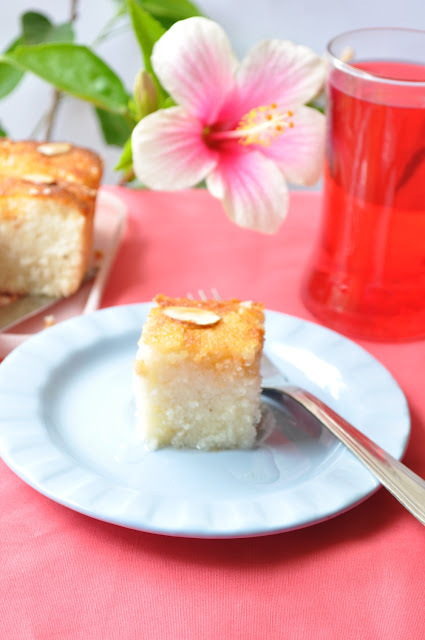 awesomely delicious !new to me but this semolina cake looks gorgeous ! Ki darun dekhte hoyeche..Dekhei khide peye gelo.Ami ekbar baniyechilam Ravani..Tomar recipe ta ekbar korte hobe..
Basboosa looks delicious. I love them Buy them when i visit middle eastern stores. I feel good to see this sweet. It was my staple sweet in Kuwait days ( The Baklavas were very expensive). I think I will try this one soon. Cant wait to eat these. loved all the ingredients used in it and you have done it so perfectly & it def is a must try one....so so yum.. Fantastic presentation and Basboosa looks absolutely tempting....melt-in-mouth kinds.Ajkeyi banachi...!! Thanks for posting!! Wow...it looks yummy! Perfect and moist. Bookmarked to try. 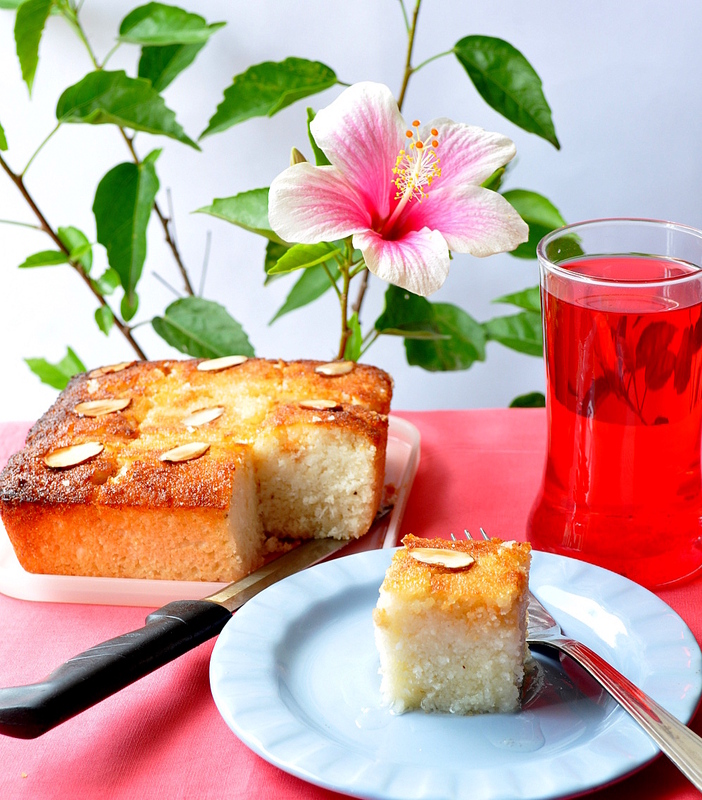 Semolina diye cake! Extraordinary delights to be seen by you. It looks stunning, and with the joba peeping in, no one could have asked for a better treat from so far away. Marvelous cake, moist and delicious..
Too good a presentation! !Thx for dropping by n for ur lovely comments in my space..Do keep visiting...I know i will!!! Looks absolutely delish, and in fact am going to try it today for a friend coming over for dinner. Have mentioned your link to this dessert on my blog....hope thats OK! Yum! Hey girl! why do you bring out such inviting stuff...makes me feel like making and tasting some immediately. Yumm yumm! definitely going to try it out soon! This looks delicious...can't wait to try. Wow...I am book marking this page! Absolutely loved this recipe. 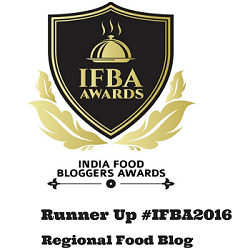 Thanks a ton! This dessert looks really delicious and eggless too! I would like to try making it sometime. Thanks everyone for your support, am overwhelmed to see your response. 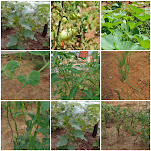 @Rachna, yes it is very healthy. I saw another version with eggs. will try that too. @Kamalika, hanre notun cameray tola. Nikon D 5000. amar pujor bazar bolte paris. @Ushnishda, yes I found the finer semolina kind of clumps together and gives a heavy texture. @thanks Kamini. hope you like it. @Ann, if am not wrong then semolina is sooji. but in India you get many varities of it. dont use the very coarse or very fine variety. if you get the coarse variety (like the Rava idli type) just grind it in a mixie to make it finer. awesome clicks and drool-worthy results..sure to try.. Very tempting! Will try out surely! Hope you are doing well. Tried your Basboosa last evening & it came out fantastic. My husband can't take anything touched by egg due to severe allergen, so this dish is absolutely a delight for him. Actually I do not like to bake eggless cake alternatively with condensed milk. So this dish is perfect for me too. All the credit goes to you! These heavy hitter have other hefty hitter buddies in the Mlm Globe. These 6-figure earnings earners belong to a secret Mlm business. Mlm is a company of recruiting. Some opponents of the Multilevel marketing business cite the recruiting necessity as a pyramid plan. These nay sayers decide that simply because of this require to recruit to make money that Mlm is unlawful. Nothing could be farther from the truth. The Multi-degree advertising business is more than 60 many years previous. The business is responsible for bringing innovative customer goods to the market. Traditionally, these goods included nutritional supplement, health item, pores and skin treatment and [url=http://www.oakleystocks.com/oakley-juliet-c-14.html] オークリー　ジュリエット [/url] products for excess weight loss. All of these goods are consumable products. The premise is that consumers will need to buy these goods on an ongoing foundation that creating residual earnings for the distributor.In recent years, Multi-Level Marketing has gone higher tech. There are effective Mlm companies that launched telecommunications products, mobile telephones. Other successful companies offer e-commerce solutions and internet primarily based item.The transition in the product mix for Multilevel marketing has not translated to the Multilevel marketing marketing. Only a handful of Multilevel marketing individuals are taking pleasure in the benefits of this marketplace. Mlm advocates are nonetheless selling their advantages the previous fashioned way. They have not embraced the technology that they are selling.Sadly, the aspiration of monetary independence utilizing Mlm methodology does not work for the everyday guy or woman. These new recruits do not belong to the magic formula [url=http://www.hotmjjapan.com/%E3%83%9E%E3%83%BC%E3%82%AF%E3%83%90%E3%82%A4%E3%83%9E%E3%83%BC%E3%82%AF-%E8%B2%A1%E5%B8%83-c-45.html] マークバイマークジェイコブス 財布 [/url] Mlm business. The horrible truth is that many may never realize their dream of possessing their own successful home primarily based business.New members of Multilevel marketing companies lookup the Internet for the secret to Mlm achievement. These members attempt cold contacting or distributing posters. A great deal of Mlm members refuse to chilly call. Other new Multilevel marketing associates are tired of cold contacting simply because they are not getting any results.If these new members could be inducted into the magic formula Multilevel marketing company, they could neglect about cold calling and that sinking feeling that comes when the prospect does not remember signing up on line to speak to you. The reality is they most likely did not sign up for something. You purchased a checklist of prospects from a fly by evening Mlm direct company that just gathers email addresses and phone figures to sell to unsuspecting determined Mlm individuals.In the age of technologies, you have to make use of the most Revolutionary tools to build your big downline. Allow technology improve your productiveness. If you disregard the technologies, your [url=http://www.prettymiubags.com/miumiu-%E8%B2%A1%E5%B8%83-c-60.html] miumiu財布新作 [/url] company will remain in unfavorable money flow. Embrace the technological advances in lead era methods that will let you take a various approach to downline building.